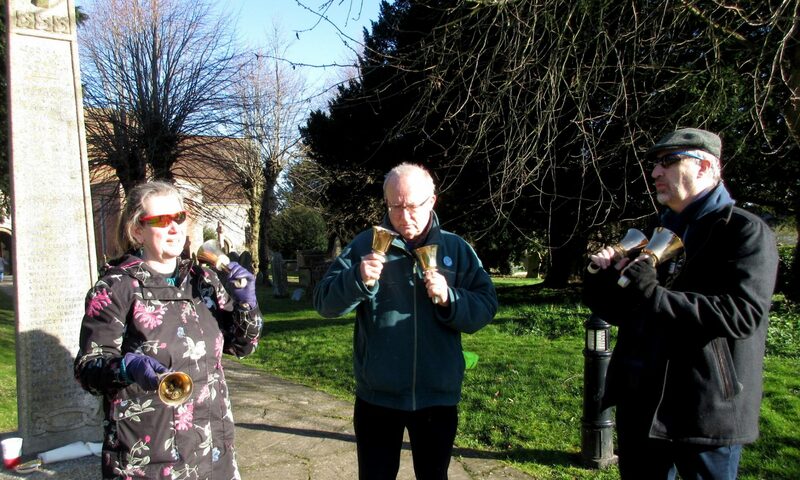 The recruitment and training of ringers, so that there may be regular service ringing in all towers within the Diocese where the bells are ringable. The promotion of the art of change ringing. To keep up to date with developments in the teaching of all aspects of bell ringing and advise Guild members of relevant developments. To provide advice and support to Branches in the area of training. To organize such training events which are deemed to be needed in the Guild. To acquire, produce and disseminate relevant literature and other teaching materials as and when necessary. To report twice annually to the General Committee. A book stall, containing popular ringing books that members can see and buy. The book stall is at all major Guild events, and subsidiary bookstalls are taken by Guild stewards to some branch events. Guild publications for sale: a series of 13 leaflets on a wide range of topics. An award scheme for young ringers, normally run every few years. The most recent was run in 2015/2016. The next will run from April 2017 to March 2018. Advice on training aids: What they offer, how to obtain or install them, how to use them, points to watch. The Guild is willing to make grants towards the cost of educational initiatives that will make a significant difference to the quantity or quality of education within the Guild, ie training, developing or enhancing the skills of ringers, or developing or enhancing the skills of ringing teachers. Grants are assessed on their merits and may be subject to available funds. The Education Subcommittee is responsible for assessing proposals and making recommendations on their approval to the Guild. Download an explanatory leaflet and application form (PDF). The committee includes the Master, General Secretary, General Treasurer, and other members elected from the General Committe. Further Guild members from outside the General Committee may be co-opted, usually to perform a specific function, such as organising one of the courses. Each Ringing Centre within the Guild is normally invited to suggest one of their members to be elected or co-opted.